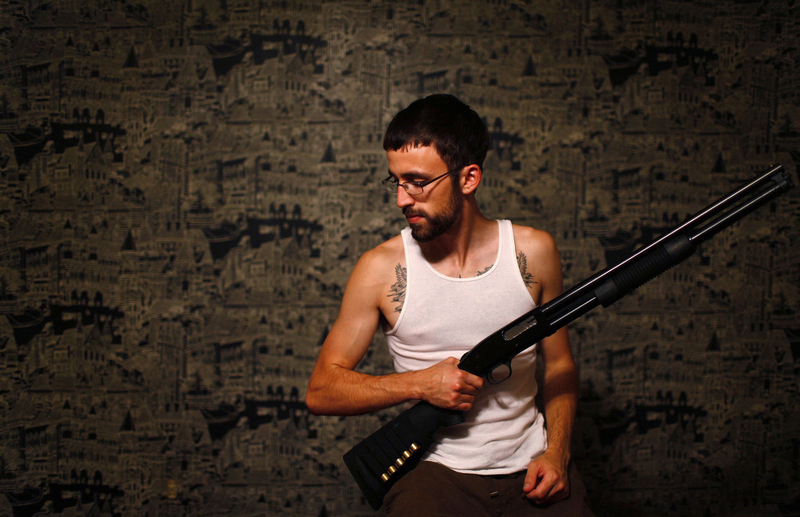 Alan Rogers sits for a portrait with his shotgun at his home in Hickory, North Carolina. "It's a Mossberg 500 cruiser tactical 12 gauge," he said. "It's a basic no bells and whistles gun, but it does what it needs to do."